(b. 1942) – a sociologist, a professor of human sciences, a lecturer of the University of Warsaw. In her youth she took part in the activities of the opposition movement, for which she was frequently persecuted (e.g., she was expelled from the University after the March 1968 events). In her research work, she focuses mainly on the sociology of politics and economics and on the consequences of political and social transformation after 1989. Because of her controversial criticism of the Solidarity movement, her early books were not published in Poland for a long time. She is active as a columnist and publicist (she collaborated with the Wprost weekly, now she writes for W Sieci). 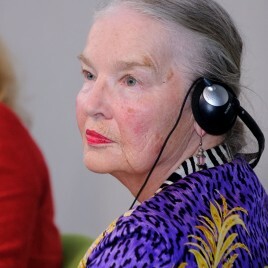 She is the author of many scientific and journalistic books, including: Ontologia socjalizmu [The Ontology of Socialism, 1988], Postkomunizm [Post-Communism, 2000], Władza globalizacji [The Power of Globalisation, 2003], O władzy i bezsilności [About Power and Powerlessness, 2006], Samoograniczająca się rewolucja [Self-Limiting Revolution, 2010], Czas na zmiany. Rozmowa z Jarosławem Kaczyńskim [The Time for Changes. An Interview with Jarosław Kaczyński, 2014].